When we say the word "arthritis," many images pop up in our heads. Some people think of crippled hands or perhaps Mr. Smith who talks about his bad hip being, "...bone on bone!" Or, how about the neighbor who has a bum knee and walks with a limp and a cane? Rarely do we think about the neck being associated with "arthritis." Before we go too far into this discussion, we should define the term, "arthritis," which means joint ("arth-") swelling (-itis). Simple enough, right? Wrong! Without getting too complicated, we must realize there are MANY different types of arthritis such as osteoarthritis, rheumatoid arthritis, lupus, gouty arthritis, psoriatic arthritis, etc. To narrow this down a bit, we will limit our discussion to osteoarthritis, also known as degenerative joint disease. Degenerative joint disease or DJD, is the most common type of arthritis that EVERYONE eventually ends up with - whether we like it or not. That's because, over time, our joints wear out and become "arthritic." While it's true that weight bearing joints wear out quicker (like hips and knees more so than elbows and shoulders), DJD can affect any joint. There are many causes of DJD, including a genetic or hereditary tendency but the most common cause is wear and tear over a long period of time. Of course, the rate of acquiring DJD in the neck (or anywhere else for that matter) is directly related to how "nice" we have been to our body, in this case, the neck. For example, after a car accident, a common injury to the neck is whiplash. This occurs because we literally cannot control the speed of the head as it rapidly moves forwards and backwards upon impact and it's all over within 600-800 milliseconds! Since we can't voluntarily contract a muscle that fast and when joints move beyond their normal stretch length, the ligaments - those non-elastic, tough tissues that securely holds bone to bone - will only "give" so much and then tear, which is technically called a "sprain." This leads to an accelerated rate of degeneration. Blood tests are negative with DJD (unlike many of the other types of arthritis), and an x-ray can help determine how "arthritic" the joint is and whether the smooth, silky ends of the joint (called hyaline cartilage) are worn down and if bony spurs are present. In the neck, DJD can create a lot of symptoms which may include pain and stiffness, especially in the mornings after laying still and not moving during the night. After we get up and move around, "...it loosens up." 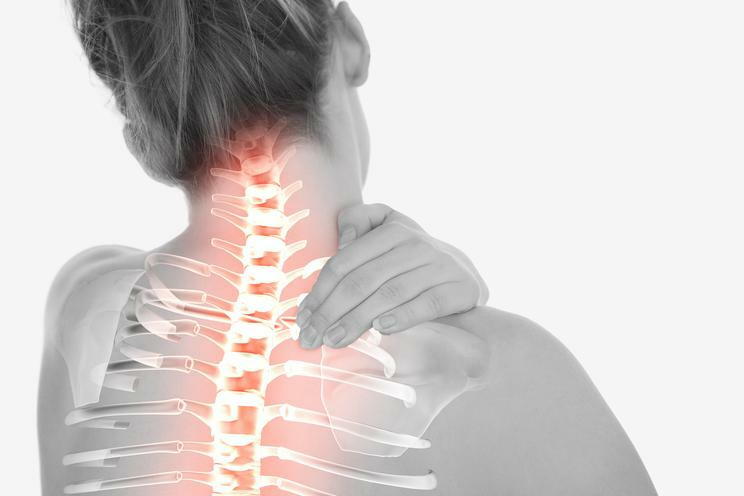 As the condition advances, neck movements become tight and restricted with pain, which further limits movement, and sooner or later, the patient must rotate their whole body to look to the side. If the arthritis hits or bumps into a nerve as it exits the cervical spine, neck soreness, and numbness/tingling may radiate down an arm, at times to the hand, usually only affecting certain fingers. Headaches, especially in the back of the head, can also occur from the reflex muscle "splinting" due to the pain associated with arthritis. Chiropractic adjustments, "...help control chronic symptoms or provide relief for more severe episodes of pain from osteoarthritis." We realize that you have a choice in where you choose your healthcare services. If a friend or family member requires care for neck/arm pain, we sincerely appreciate the trust and confidence shown by telling them about our services and look forward in serving you and your family presently and, in the future.